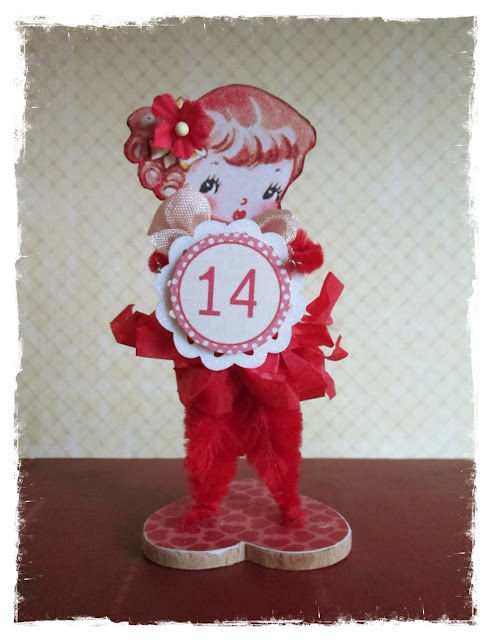 Over the Rainebeau: Whimsies and Freebies! I'm still here! I didn't really mean to disappear. a little thrifting and a little creating. I don't have photos of my thrifty finds yet, but I do have pics of my newest creations. Now, you may or may not know that I sell collage sheets on Etsy. and then these little cuties came to life! So I thought, hmmm.. I haven't sold any crafty things on Etsy or Ebay for ages, maybe I'll just give it a try! I'll be adding some new ones later in the week, if you'd like to take a peek :) I just love vintage valentines, especially the whimsical ones from the 20s and 30s. Lots of links to lovely pinks at Pink Saturday. For links to lovely, shabby, chippy whites, stop by Blissful Whites Wednesday! Lovely things at Pearls and Lace Thursday. ♥♥♥Thank you so much for visiting and for all your lovely comments!! ♥♥♥ Have a great week! love your valentines so cute . Those are adorable Lorraine!! And the freebie one is gorgeous! Thank you so much for sharing them with us for my party!! Hope you weren't sick - that stuff that's going around is tough to get rid of! Looks like you have a new background. It looks very nice. Oh, and those valentines - wow. Those are neat. I will certainly help myself to some saved images (probably all of them). I love the images I have that I've obtained from your blog before. They are on my desktop background so I can see them now and then. Thanks for the post and the freebies! I'll go download them next. Hi Lorraine. 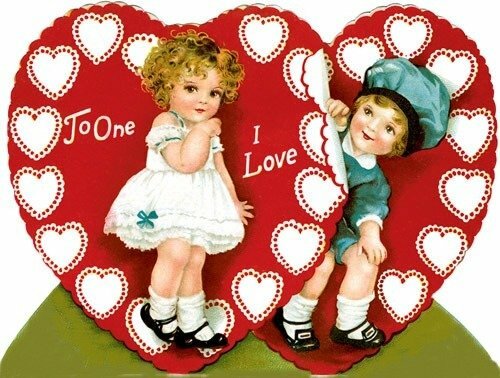 Love your Vintage Valentine cuties. Don't you wish you were a kid again? Thanks for stopping by to leave a comment. It is appreciated. Be well, be happy. Hugs, Gayle. Brilliant way to show off those vintage style valentines! Happy Pink Saturday. What Fun Valentines Lorraine. Thank you for visiting my blog. Have a great weekend. 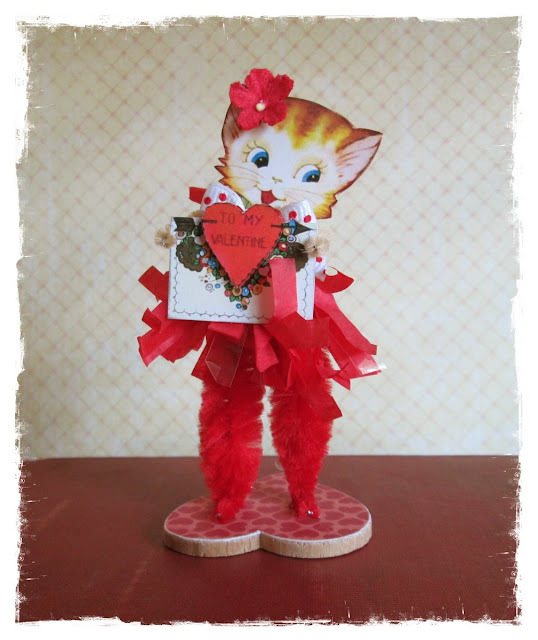 Your little Valentine stand ups are so sweet. 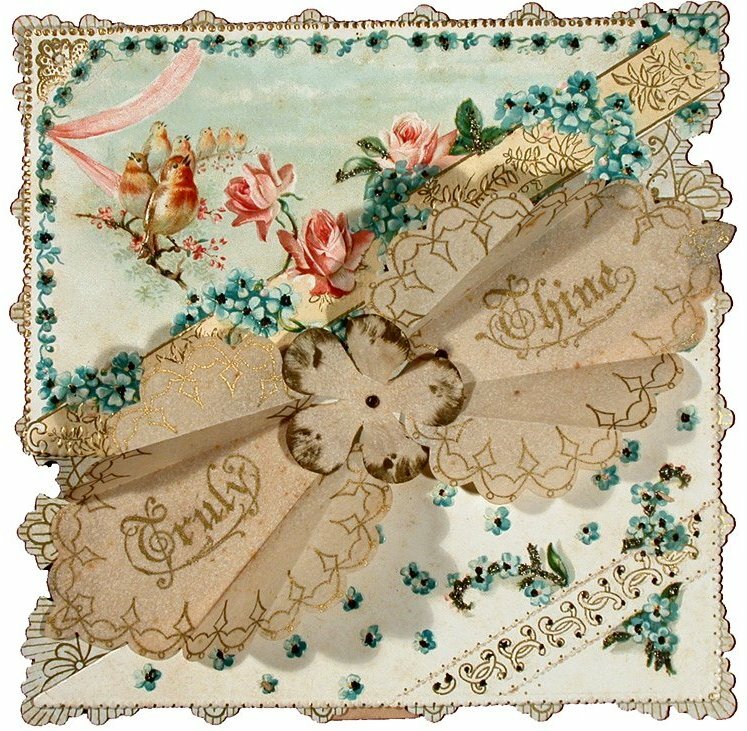 Love the vintage Valentines! Thanks for sharing! 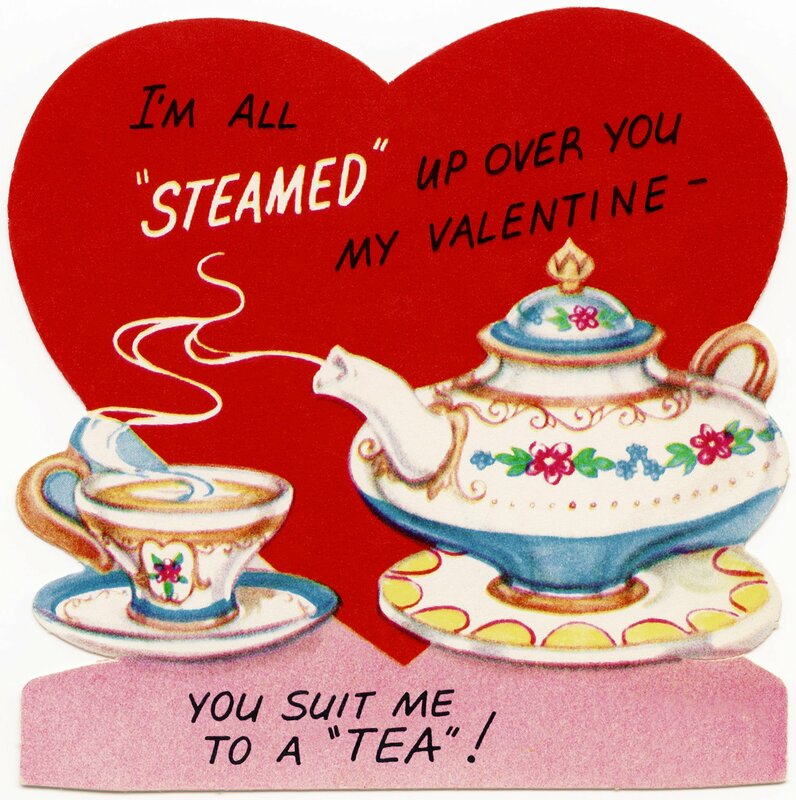 I love these Valentine's and especially the tea one as I am a lover of all things tea! HPS and have a beautiful week! Love the cute valentine figures! Darling - love all the images! Thanks for sharing!!! Oh these Valentines are just adorable! My favorite is the 'Truly Thine' one - so romantic. Thanks for visiting my blog recently! you create this web site yourself? Please reply back as I'm looking to create my very own site and would love to know where you got this from or what the theme is called. Thank you! Lorraine, these are just enchanting! All of them! And thanks for the Valentines. I know someone in your world will get a very special one! 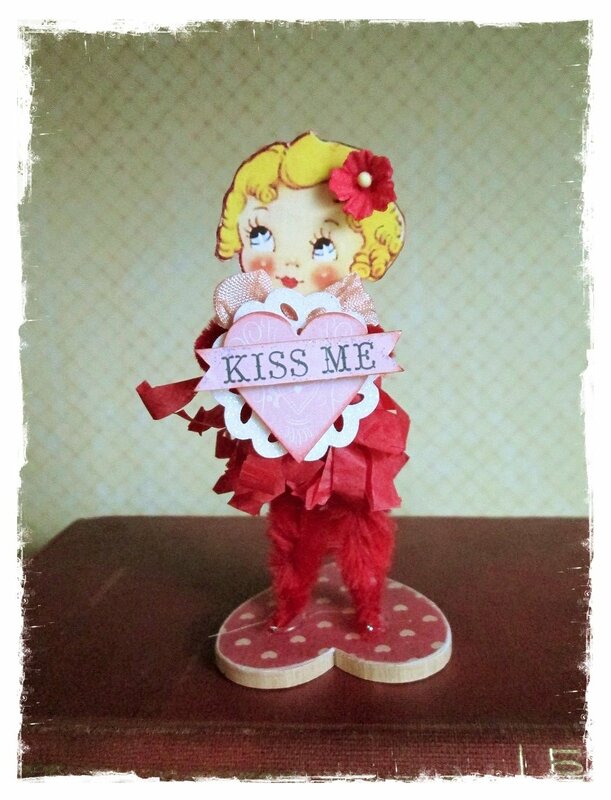 What sweet Valentine creations -- and, thank you for the images! My favorite is the last one!